Just because you’re green at event promotion doesn’t mean you can’t advertise like a star! 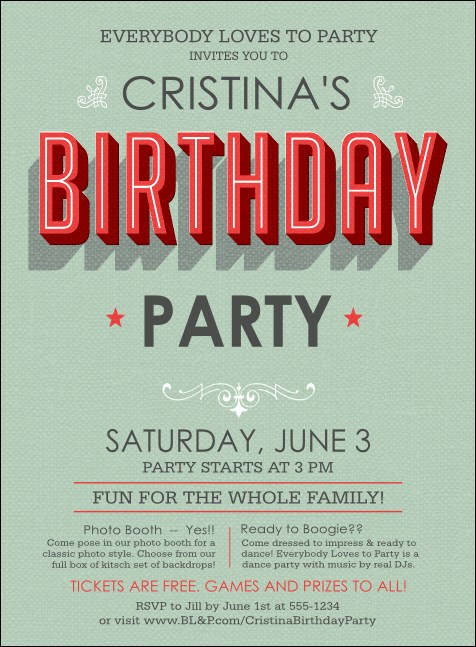 Print Birthday Party Green Invitations and send them out to your guest list in advance. Promote your party like a pro with Invitations that feature a pretty, pastel-green textured background that’s accented by salmon-colored text. Make your birthday even happier with TicketPrinting.com.